Ayrsley has plenty of room with 4 hotels residing on campus. 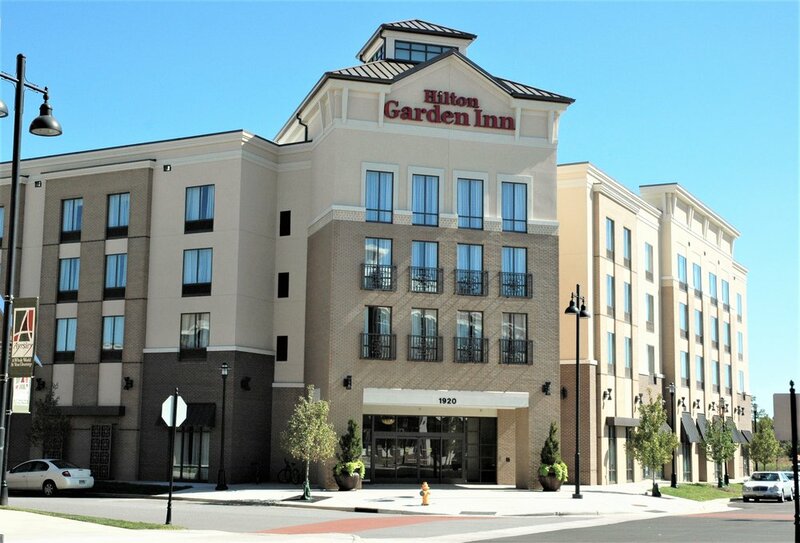 Business and leisure travelers have plenty of options just minutes from Charlotte Douglas International Airport. Banquet & meeting space is also available. Families will love the proximity to Lake Wylie, Carowinds, U.S. National White-Water Center, Charlotte Premium Outlets & The Billy Graham Library. You’ll have plenty to do when you get back to your hotel room-go bowling, go to the movies, eat at great restaurants & more! Choose a stylish two-room suite equipped with a microwave, mini-refrigerator, coffeemaker, 42-inch flat-screen TV and complimentary WiFi. Maintaining your exercise routine is easy at this Charlotte/Ayrsley hotel, with a sparkling indoor pool and complimentary fitness center with the latest Precor® equipment. Savor delicious American cuisine in the on-site restaurant, Brickstones Grill, or take a short walk to discover many restaurants nearby. Start each morning with a free made-to-order breakfast. In the evening, unwind over drinks and snacks at the complimentary Evening Reception. Newly Renovated! Retreat to a spacious guest room or two-room suite, with complimentary WiFi. Stock the refrigerator with drinks or make a snack in the microwave. Suites provide a separate living room with sofa bed. Savor a cooked-to-order breakfast or a delicious dinner in the Great American Grill®. Our Pavilion Lounge serves cocktails and beverages. With 5,000 sq. ft. of flexible meeting and event space, catering services and a 24-hour business center, we have what you need for a successful business or social event. Maintain your health in the fitness center, heated indoor pool and whirlpool. Unwind in a studio, one- or two-bedroom suite with a kitchen and separate living area. Cook a meal in the kitchen equipped with full-size refrigerator, two-burner stove-top and microwave. Enjoy our convenient grocery shopping service, or visit our 24-hour convenience store for snacks and travel essentials. Extended stay guests, business travelers and family vacationers appreciate WiFi, a business center, laundry facilities, modern fitness center and outdoor pool. Join us for the daily hot full breakfast in the Lodge and complimentary evening social* served Monday through Thursday. Say wow to Tru by Hilton Charlotte Ayrsley, right in the mix of shops, dining and fun in the pedestrian-friendly Ayrsley area. Close to I-485 and the Charlotte Light Rail, it’s easy to zip off to your day. Our efficient rooms include free WiFi, a large bathroom and a 55-inch TV with 150 channels. Follow your food mood at the free breakfast bar with 30 sweet and savory toppings for donuts, cereal, bagels and more. Head for the lobby to play board games, shoot pool or kick back in a private alcove. You’ll find drinks, gourmet snacks and single-serve beer and wine at our 24/7 market.